Do you need help with any of the areas below? Going on a trip outside of our great nation? Do you or your family need traveler’s health insurance? Click here → for help with international travel health insurance. Do you need your own insurance plan against the risks of high medical expenses? Click here → for help with individual health insurance. Do your employees need health insurance? How about your partners? Click here → for help with small business insurance. Do you need assistance with getting the Medicare coverage that you need? Click here → for help with Medicare insurance. Do you, or does someone in your family need life insurance in the case of a disaster? Click here → for help with life insurance. “We have worked with James Robeson with Robeson & Associates, Inc. for over 10 years. James, or Jim as we know him, is a trusted friend, advisor and agent for our company. We respect and appreciate his core values. He has always had our best interest in mind and that of our employees. Jim has assisted us in establishing quality, affordable health and dental insurance, disability insurance, life insurance and our 401k retirement plan. To help business owners, professionals and their families by delivering exceptional value in successfully overseeing and supporting their insurance and benefits plans. Our goal at Robeson & Associates, Inc. is helping our clients determine what they truly want from their personal and business lives, create wealth preservation strategies that will help protect those plans from the changes in the economy, and help them leave a legacy for their family and their community. Robeson & Associates, Inc.partners with associates in Estate & Financial Planning, and Individual & Commercial Insurance Services for your specific needs – Kennedy Insurance, Mike Hill, MBA at San Diego General Insurance Agency, Inc. and Stacy L. DenHerder, Attorney, at DenHerder. Let us know if you’d like to take advantage of our great connections in these areas. SAN DIEGO – In 1978, Jim began his insurance career as an agent with the New York Life Insurance Co. In the early 1980’s he served in a variety of capacities for companies including E. F. Hutton Life (marketing director to South Calif. agents), E. F. Hutton & Co (life specialist in brokerage house), and Pacific Life (life specialist). 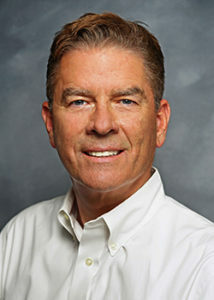 Jim founded Robeson & Associates, Inc. in 1983 and began specializing as an insurance and benefits consultant. He has reset the bar among his professional peers with the manner in which he tailors his client’s financial needs. Whether helping plan the insurance and benefit needs of individuals or small business owners, he quickly grows familiar with the client’s circle of professional advisors, and easily works hand-in-hand with them to make sure the client’s assets are protected through innovative and creative cost savings and estate planning designs. Jim has been providing his special brand of professional service for more than 40 years. He earned his Chartered Life Underwriter designation in 1987 and his Chartered Financial Consultant designation in 1989. Jim is involved with the National Association of Health Underwriters, the California Association of Health Underwriters and The American College of Financial Services. Jim has lived in San Diego since 1965 and spends time working out, surfing and spending time with his family (married, with three children and four grandchildren). Jim fully understands the need to stay current with economic challenges and changes, while not sacrificing the essentials of family. For more information contact Jim Robeson at jim@robesonassociates.com, or call him directly at (858)-935-9120.